For almost a decade, Danske Bank’s Estonian branch was a go-to for individuals in Russia and the former Soviet Union who needed to legitimize billions in illicit funds. The bank’s CEO, Thomas Borgen, resigned on Septmeber 19th, after the details of a two-year internal investigation were released to the public. According to the investigation, some 6,200 customers accounting for as much as $230 billion in payments were found to be suspicious. If it turns out that Danske Bank did help launder that much money, then it will be far and away Europe’s largest money laundering scandal. The U.S., Denmark, and Estonia have all launched investigations and some analysts believe fines could reach as high as $8 billion, due mostly to years of negligence on the bank’s behalf. The role the Estonian branch played in overall group profits cannot be underestimated. As neighboring banks limped through Europe’s debt crisis with returns ranging from 6% to 70%, Danske’s Estonian branch delivered returns of 402%. Over 9 years of laundering, Estonian funds accounted for up to 10% of the Danske’s pre-tax profits. 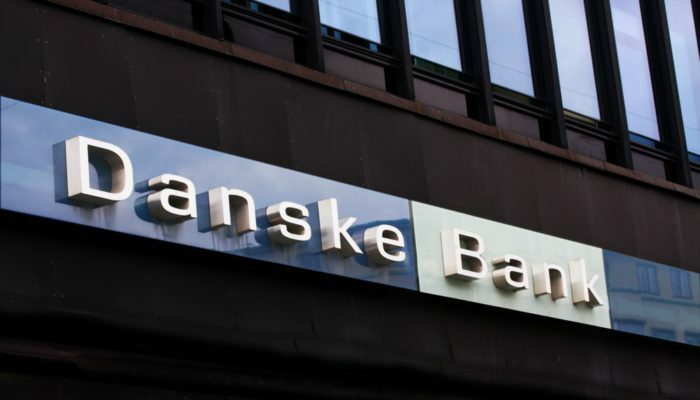 Even after warnings from Russia and partner bank JP Morgan, as well as a whistle-blower who alerted the board in 2013, Danske Bank waited until 2017 to launch an investigation. The severe lapse in due diligence regarding “non-resident customers” making payments through the Estonian branch allowed criminal activity to continue for years, and has since resulted in a precipitous drop in the bank’s share price in June of this year, when the Baltic chief stepped down. The bank also lowered its expectations for annual net profit to 16 billion-17 billion Danish crowns from 18 billion-20 billion Danish crowns. Europe has been tightening its money laundering regulations for some time in response to multiple scandals involving European banks and Russian entities. Investigations into several European banks have led to big fines, including ING Group, Deutsche Bank AG, and Commerzbank AG. Germany recently overhauled its anti-money laundering enforcement agency, the U.K. has tightened up its anti-money laundering laws to deal with a large influx of illicit funds from all over the world, while reports on Canadian and U.S. anti-money laundering activities reveal that the problem is widespread, and solving it requires concerted action across borders. generally strengthened the three lines of defense, which also includes ensuring increased independence of control functions and making sure that whistleblower reports and correspondence with supervisory authorities form part of reporting to the Board of Directors. Though the issue of money laundering remains very prevalent in the banking and financial sector despite serious efforts put in place to curb the menace ,more could be done to enhance transparency and legitimacy in the industry. For instance the full identities and professions of the account holders should be more emphasized and publicized to eliminate issues such as identity theft and any ambiguity that may arise. Another point to note is that account holders in this case genuine account holders must be given significant control over their hard earned money and should be regularly updated on issues relating to their accounts to prevent or check any collusions among bank officials with suspicious intentions which could in some cases lead to identity theft and even the theft of the money itself. Banks and financial institutions cannot be entirely exonerated from the money laundering scandals and therefore it is very important now than ever before to grant enormous authority if not absolutely to account holders over their money without necessarily the banks involvement or notice , this is very possible due to digitization such as the personal computer and it’s accessories, the telecom industry could also play a major role in bringing account holders money much closer to them by storing and managing their money on their GSM CHIPS for instance.